2. This quadcopter has powerful, ultra-responsive motors. Adjust the throttle slowly to maintain control. 4. The USB charger should be used with a current input under 0.5A, or you could use an upgraded 5 in 1 battery charger. 5. The weight of the quadcopter is less than 0.55lb, so no FAA registration is required. How to Recalibrate the Gyro? 1. Place the quadcopter on a flat&level surface. 2. Throttle up and down to bind the quadcopter to the transmitter as usual. 3. Press down the left throttle stick, until it starts beeping, “Di,Di,Di”. 4. Turn both sticks to the bottom left, until the lights on the model flash. Release the sticks when the lights go solid. 5. The Gyro is now recalibrated. How to Fly in Flips Mode? 1. When the quadcopter is flying in the air, press down the left stick(throttle stick), the transmitter will beep one two or three times, each time for low/medium/high speed modes. 2. Shortly press down the right stick, the transmitter will beep constantly, which indicates that the quadcopter enters into Flips Mode, then move the right stick to any direction for one 360° flip. 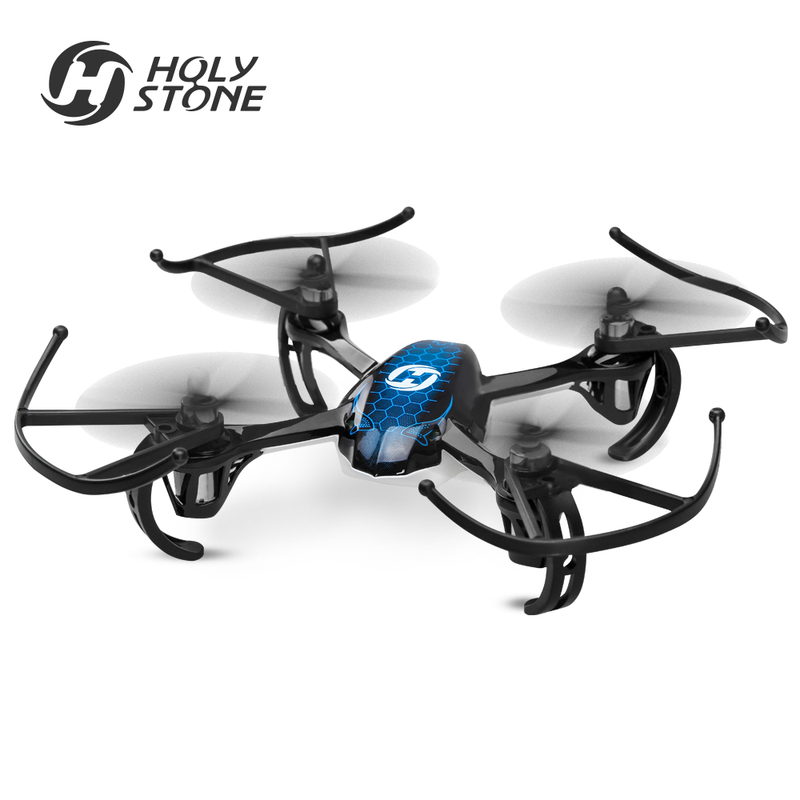 Headless Mode makes it easier to control the steering of the drone. When headless mode is off, the direction that the head of the drone faces would be the forward direction. In the headless mode, the direction the pilot faces would be the forward direction. How to Use Headless Mode function? Press down the Headless Mode button to enter into Headless Mode. The transmitter will keep beeping slowly in Headless Mode, the lights of the drone will also keep flashing. Press down the button again to exit the Headless Mode. Press down the One Key Return button during the flight, the transmitter will keep beeping quickly and constantly, the drone will fly to the pilot directly. 1. When pairing the remote to the quadcopter, make sure the head of the quadcopter is facing forward, and the tail of the quadcopter is facing towards the flyer(and the remote). to where the remote is. 3. That said, we suggest pilots to stay stationary and face the same direction in which he set the head of the quadcopter to face when binding the remote. Headless Mode brings much more confidence for the beginners and young children. 6-Axis Gyro Technology enables the drone to flip and role by a simple push of the button. Hold down the right direction stick to perform a cool roll in any direction. The Colorful LED lights make it easy to identify the front and back so as to make the quad a great night flyer. 3 Different Speed Modes for beginners to more advanced pilots. Super fast in the highest speed for a micro quad.